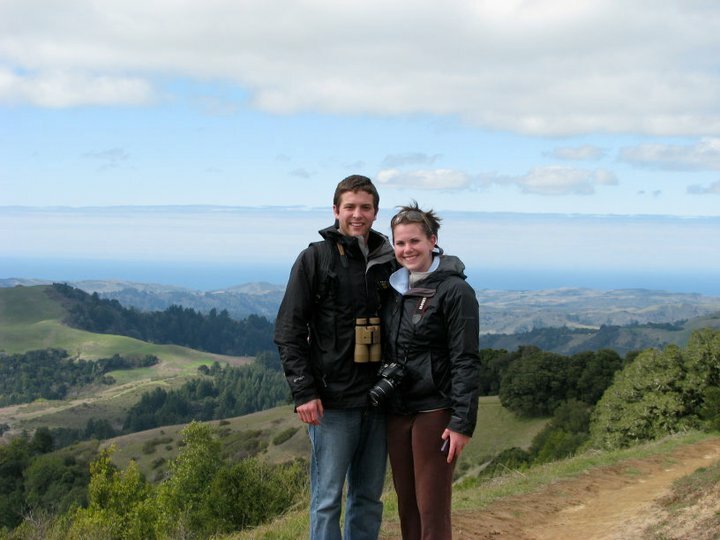 My name is Sarah, and my husband and birding partner is Nathan. Nathan and I met in high school and dated my last two years there and all through college, and now we own our own bird store where we sell bird watching optics, bird seed, houses, feeders, baths and pretty much everything you need to bird watch, except for the birds themselves. How did we get interested in birding?? Nathan grew up casually bird watching with his mother, and she learned what she knew about birds from her father. So you can say Nathan has birding in his blood, but they were and are not as serious about bird watching as we are. Nathan did not bird watch much until late in his college career. When we were in college at Western Carolina University, Nathan decided to take an ornithology class as an elective, and the rest is history. Nathan started learning all about the birds in our area, and found it easy to learn all of the songs of all of the warblers in our area. It came naturally to him, but it did not come so easy for me. I was not that into the idea of going out and bird watching, but we hiked almost everyday any way, so it wasn’t much different. It did take us a little longer to reach the top of the mountain because Nathan kept stopping for every bird he heard. He would show me the birds we were seeing, and I would act like I was really interested, even though I was just trying to be nice. When Nathan graduated from Western Carolina that following semester, his parents bought him a Cannon camera. Nathan let me take the camera whenever we would go out and hike/bird watch, and he would tell me to try to get a picture of the birds just incase he didn’t know what it was in the field he could look back at the picture and be able to identify it. I was sold. As soon as I had the challenge of trying to photograph those darting warblers, I became addicted! I started by only taking pictures of the birds and just looking at them through the camera, then I switched to taking pictures then looking through Nathan’s binoculars. After a while we decided it was time for me to get my own pair of binoculars. It was always camera first, then binos. Then I really caught the birding bug when we chased our first rare bird, the Greater White-fronted Goose and Ross’s Goose in Asheville, NC. That day, not only did we see both of the geese we were chasing, but we also had Sandhill Cranes fly over us. After that, I go for my binos first and worry about the picture later. We love to travel, and we really love to chase rarities. In this blog we are going to talk about our different experiences chasing rare birds, and our other birding travels. We hope you enjoy reading about our adventures!